The site of the Mount Arthur Coal Mine with the cooling towers of the Bayswater Power Station in the background. The proposal imagines these sites being repurposed over time for large-scale festivals and other gatherings. Coal mining has been an integral part of Australia’s long-term economic prosperity, but also an activity that has attracted significant controversy. The New South Wales Hunter Valley region has long been an essential part of Australia’s mining and resources sector. In an era of climate change with efforts to reduce dependence on fossil fuels, however, this industry may be entering a terminal phase. At the same time, the Hunter Valley – also a longstanding wine-growing region – is under threat from rising temperatures and changing rainfall patterns. Could resilient viticulture and tourism replace coal as the region transitions into the future? 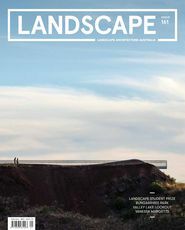 This project examines the remains of the mining industry, along with the future of viticultural landscapes in the Hunter Valley, exploring how both industries have shaped the landscape character of the region. 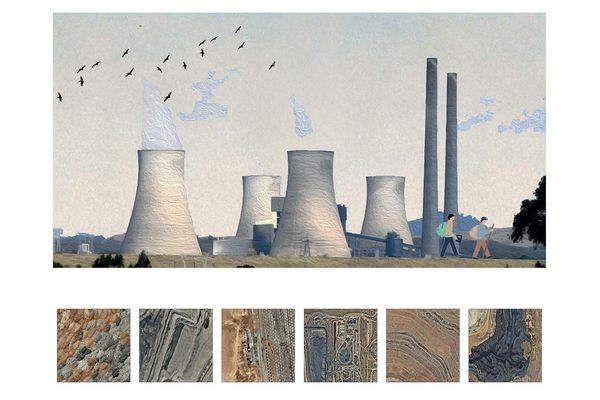 The project imagines decommissioned mines and collieries, vineyard landscapes, environmental protection zones and post-mining regional towns all woven together by a multi-day hiking trail, repurposing railway corridors, industrial infrastructures and high-voltage electricity easements. 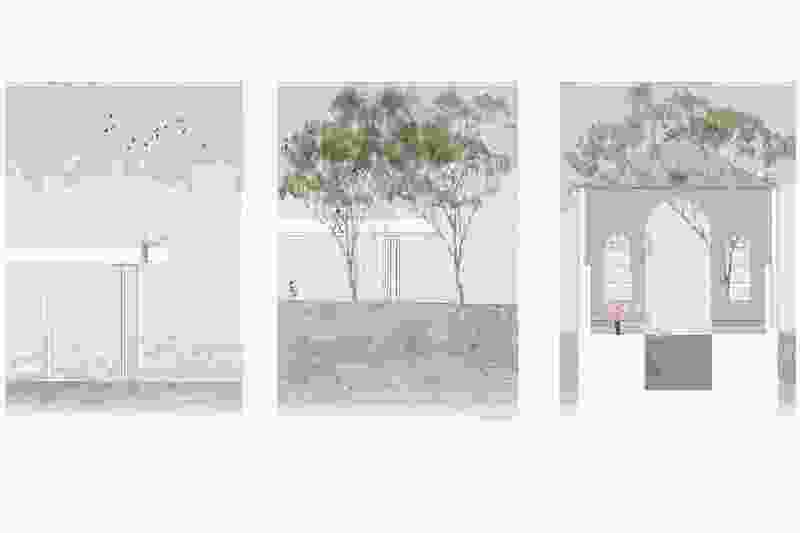 The project proposes new connections between coal’s industrial heritage and high-value agricultural and tourist economies, and aims to celebrate, restore and reconnect local communities, visitors and ecologies within the Hunter Valley region. An open-air bathhouse is imagined in the ruins of the Aberdare colliery winding block, connected to the adjacent dam by an elevated loop walkway. 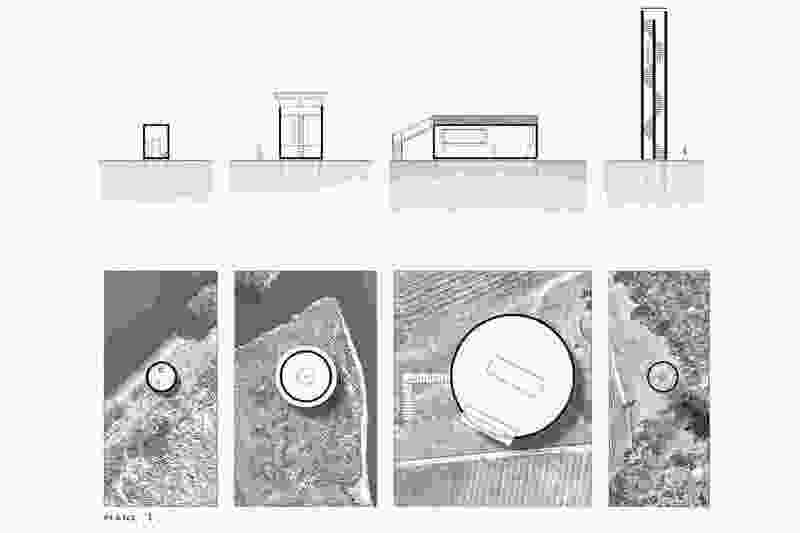 Various lookout towers, amenities blocks and other facilities are sited at different locations along the trail, clad to reflect the differing underlying geology of each of their respective sites.